Quick Overview : Absolutely a daily day wear delight. It does not points up pores or other flaws and dry-normal or makes the skin cakey skins will love it the ..however this is the best product in to combination-oily skin and do need to set it with a setting powder. it helps even this terrible humid weather it whearas goes hours! 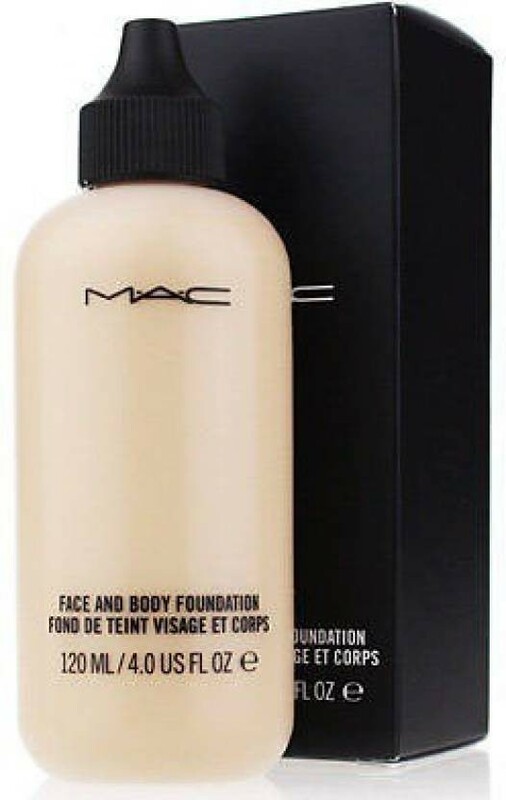 MAC Studio Face and Body Foundation MAC : A liquid foundation that provides low to high perfect coverage and a flawless skin with no scars visible , natural satin-shine finish. Skin conditioning, water-resistant and long-wearing foundation perfect fo skin type. choose different skin shades according to your skin. The foundation comes in the cutest packing and most suited packaging ever i.e in a baby bottle type body with a nozzle mouth and screw cap. Very easy to prorate product and carry it around without fear of spillage. The texture is pure delight ecstasy- smooth enough , watery, cooling spreads and blends like a dream on skin and contrary to many beliefs I do not rub it on to increase coverage or work it in my skin..i just slather it on and pat it gently and it gives me the most magical and realistic finish on skin. Disclaimer : Shades of this foundation lighting sources or your monitor settings.ShopsyourGuarantee : Shop with confidence as all payments are 100% secure.